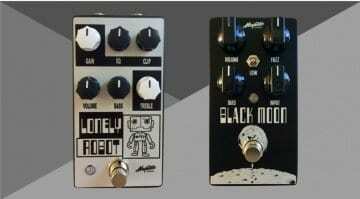 Based around two legendary effects circuits, the new Lonely Robot and Black Moon pedals from London's Magnetic Effects are now available for a limited time only. 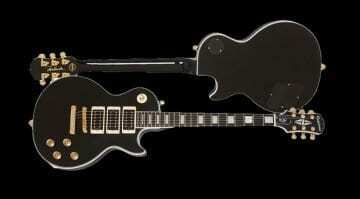 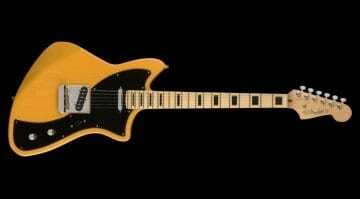 Peter Frampton lost his favourite guitar in 1980 and thought it was gone forever. 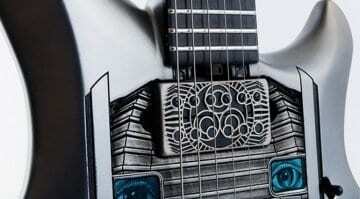 In 2012 it was recovered and now provides the blueprint for this new signature limited edition version. 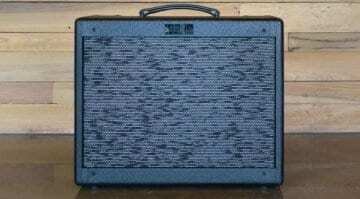 Fulltone OCD v2 CME Limited Edition Black: Paying more for a new paint job? 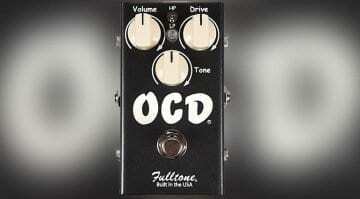 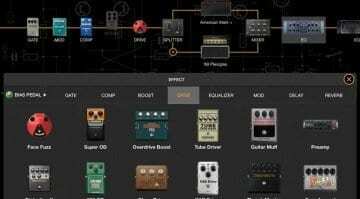 The new Fulltone OCD v2 CME Exclusive Limited Edition Black is an exclusive version of the pedal being made for a US dealer, but is it worth buying in Europe? 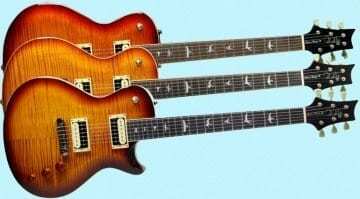 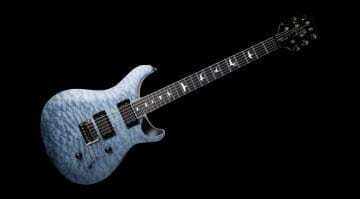 That popular PRS SE signature model for ex-Whitesnake guitarist Bernie Marsden is being re-released throughout Europe for a limited run, with some top-notch specs given the price. 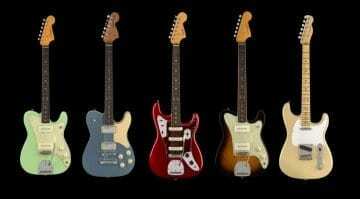 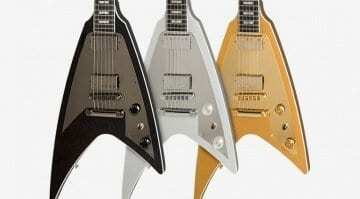 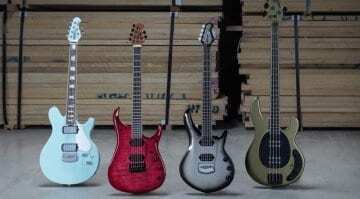 A new leak of Fender guitars slated to debut at the NAMM Show later this month include Jazz Tele, Whiteguard Strat, Strat Tele Hybrid, Troublemaker Tele and the Jaguar Strat - enter the Parallel Universe! 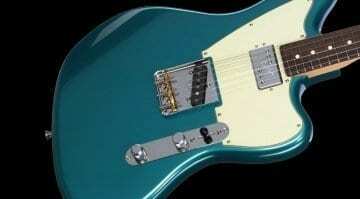 This new limited edition Fender Meteora looks like a cross between a Telecaster and an offset Jazzmaster style body, will players love it or hate it? 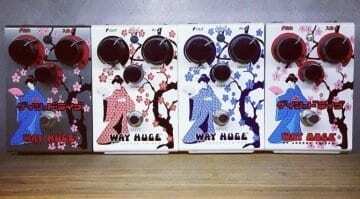 Way Huge Drive: Has Jeorge Tripps found his best drive tone to date? 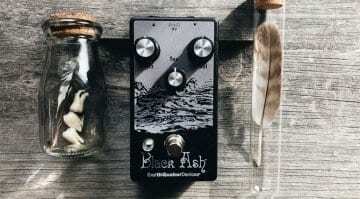 A limited edition overdrive pedal with a custom circuit that cooks up some fairly awesome-sounding overdrive and distortion tones. 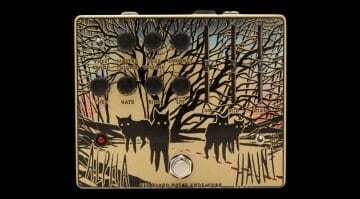 Has Jeorge Tripps found his best drive tone to date?